Kurt Buschstarted seventh and finished eighth, earning three bonus points. The Haas Automation driver said the car was loose in and tight off on lap 14. He was running seventh. Busch pitted on lap 34 for four tires and fuel. He was leading when he pitted and came out 12th. Started third and finished 12th. On lap 54 Busch pitted and took right-side tires and fuel. The No. 41 Haas Automation Ford Fusion pitted on lap 67 for four tires and fuel. Busch pitted on lap 84 for four scuffed tires, fuel and a wedge adjustment. He said the car was just too tight. The car returned to pit road on lap 86, as there was an issue on the previous stop with the front air gun. The team used a different air gun to make sure the lugnuts were tight, and Busch restarted 24th. Busch pitted for four tires, fuel and a wedge adjustment. On lap 112 a left-front tire was cut, which forced Busch to pit road for four tires and fuel. He came out in 31stplace, one lap down. Busch pitted on lap 128 for four tires, fuel and some minor damage repair. He restarted in 30th. Busch worked is way up into the top-10 by lap 155 and finished ninth. Busch finished eighth in Stage 1 to earn three bonus points. Busch led once for 11 laps to increase his laps-led total at Pocono to 549. 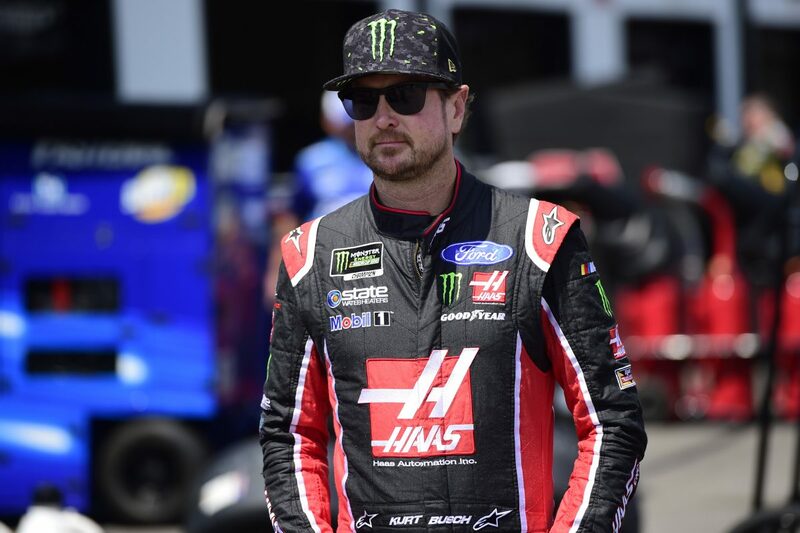 This was Busch’s 12thtop-10 of 2018 and his 20thtop-10 in 35 career Monster Energy NASCAR Cup Series starts at Pocono. The next event on the Monster Energy NASCAR Cup Series schedule is the Go Bowling at The Glen on Sunday, Aug. 5 at Watkins Glen (N.Y.) International. The race starts at 2:30 p.m. EDT with live coverage provided by NBC. Pre-race coverage begins at 1 p.m. on NBCSN.